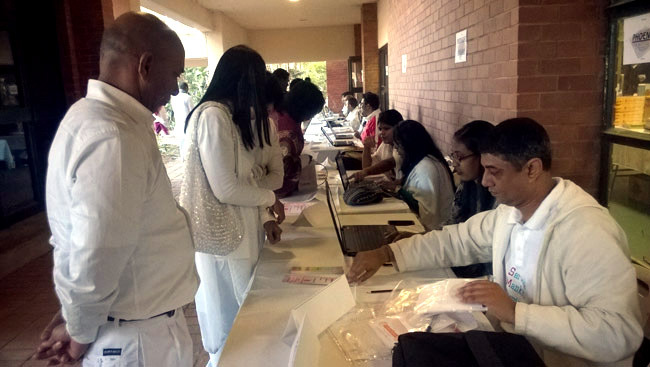 On 19th and 20th of July 2014, about 920 Sathya Sai devotees attended the annual national conference of the SSIO of South Africa. The conference, under the theme, “Unity and Love and Action,” was spiritually uplifting and accentuated spiritual transformation through service to humanity. The Ladies Forum held discussions about the spiritual role of the mother, the family, the Sathya Sai organisation and the community. Three former students from Prasanthi Nilayam shared their personal experiences with Bhagawan and sang beautiful Bhajans. An exhibition on the life and teachings of Bhagawan was also organised.